The award winning series continues. A magic cloak sends Mickey and Minnie into a dystopian future of robots and wicked warlords and it is up to Mickey to end this electronic enemy's reign of terror! 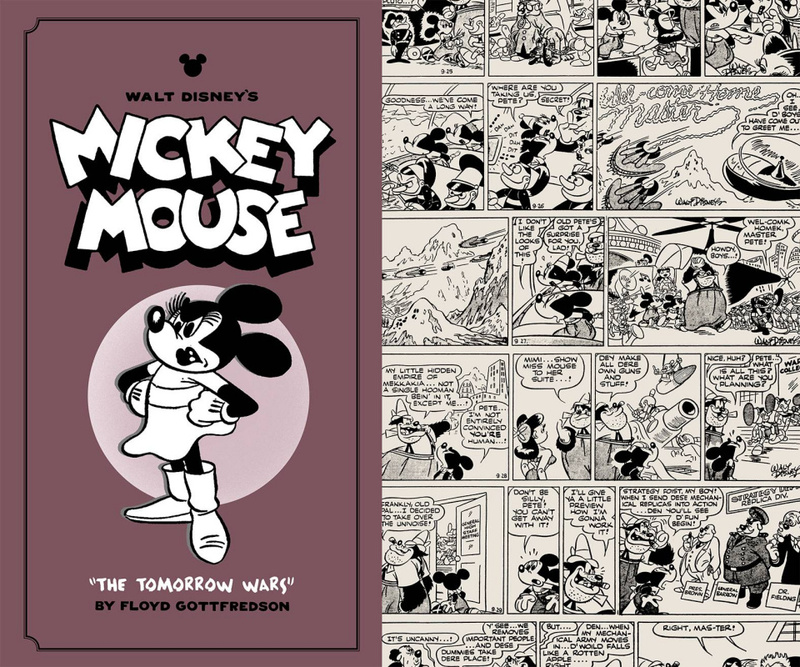 In bonus stories, artist Floyd Gottfredson sends Mickey out on a ghost ship and then pits Mickey against creepy chemist Drusilla and her morbid minions! This new eighth volume is also available in a handsome, holiday gift box set with Spring's Vol. 7: "March of the Zombies"!